Excellent color and wonderful shadows. Nice shot of this pumpkin. Closer and closer! Nice view with shadow. Super big pumpkin make a great seasonal shot! One of the rare times when a weed was welcome. 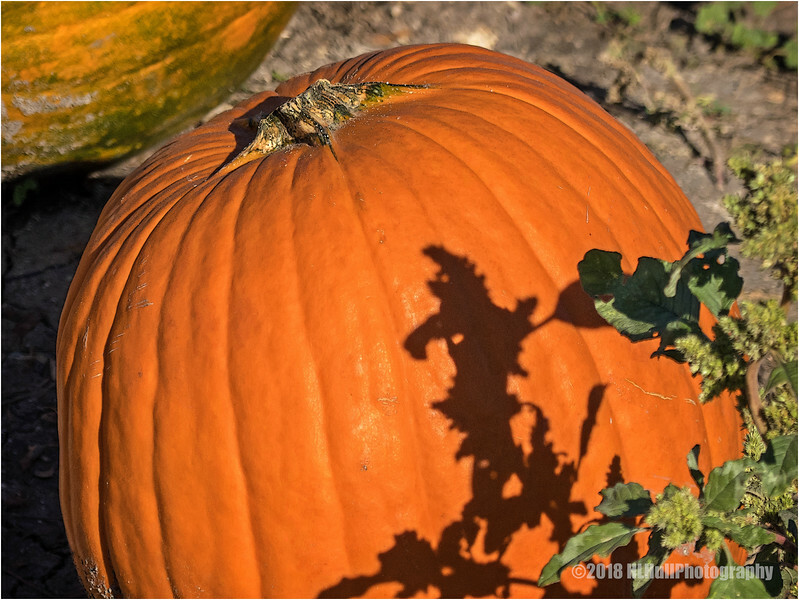 It cast a great shadow on the pumpkin 'screen'.